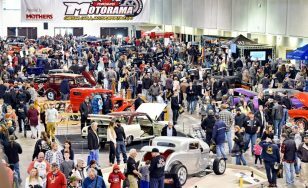 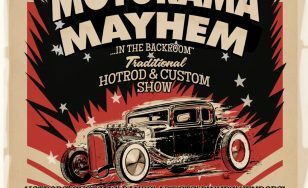 The fifth annual Motorama Custom Car & Motorsports Expo takes to Toronto’s International Centre March 8, 9 & 10. 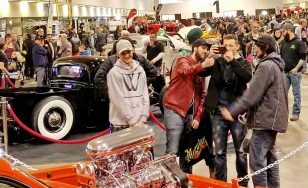 At over 330,000 square feet, the 2019 edition of the biggest show of its kind, in Canada, will be even bigger and more entertaining than ever! 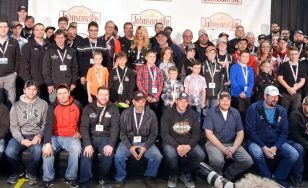 On Saturday, March 10, 2018, more than three dozen drag racing champions from the 2017 racing season assembled on The Johnsonville Stage at the 4th Annual Motorama Custom Car & Motorsports Expo Presented by Mothers to participate in the Drag Racing Night of Champions. 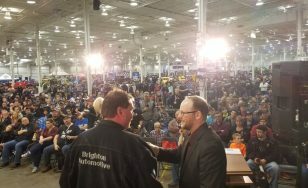 Presented by Stoneridge Specialty Insurance and Inside Track Motorsport News, the event was co-hosted by Bill Richards and Larry Satchell. 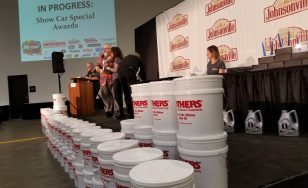 This year’s celebrity presenter was 2016 NHRA Funny Car World Champion Ron Capps, who even grabbed the microphone to conduct the odd champion interview. 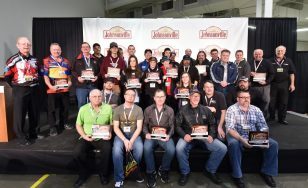 The presentations were entertaining and special as the honoured champs received their plaques from Capps and thanked their families and crews for their support.